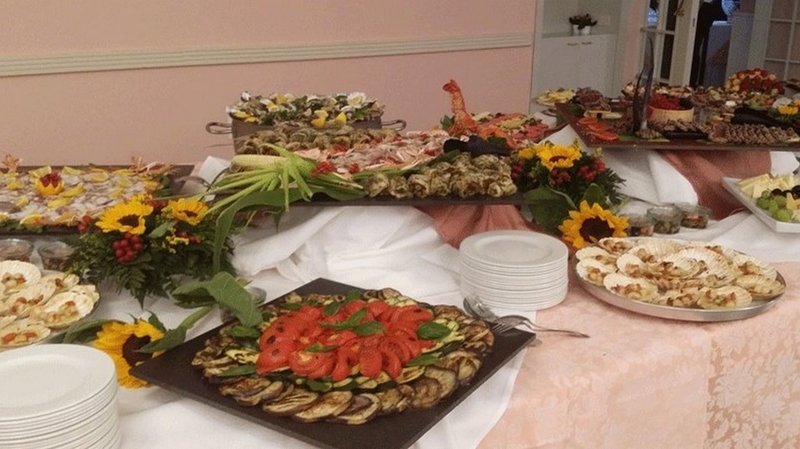 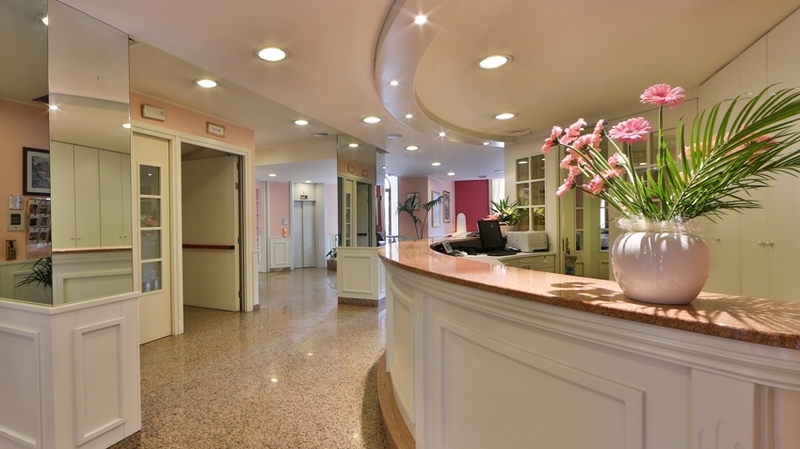 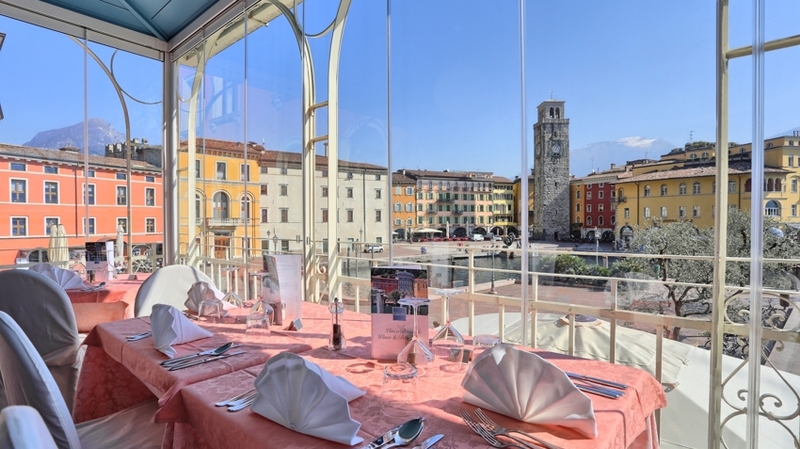 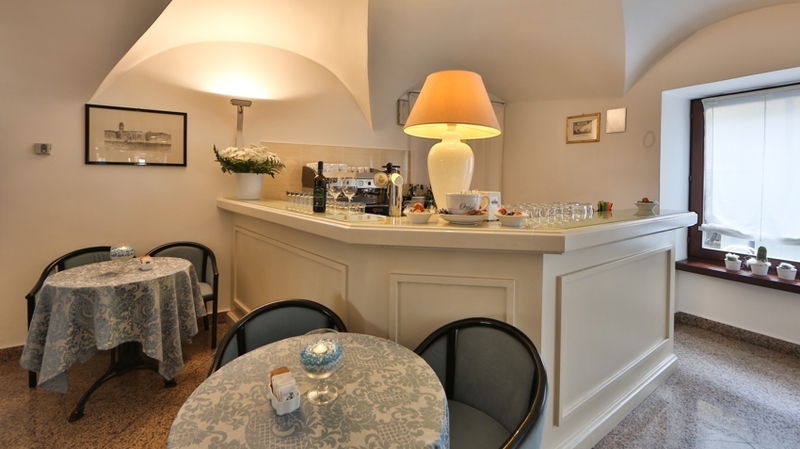 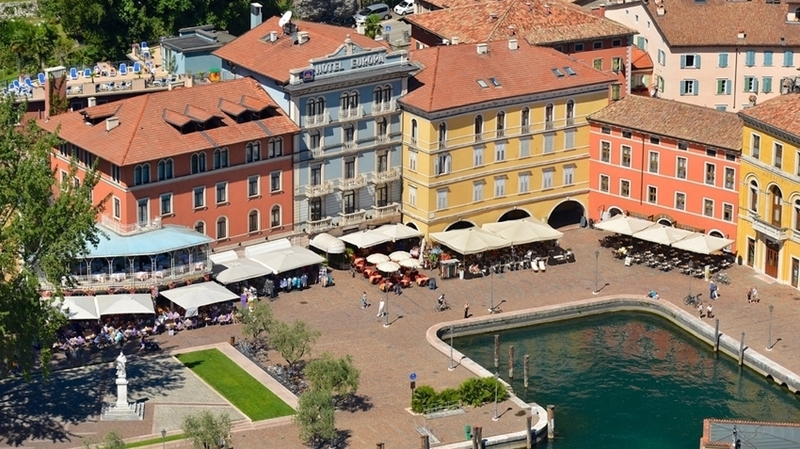 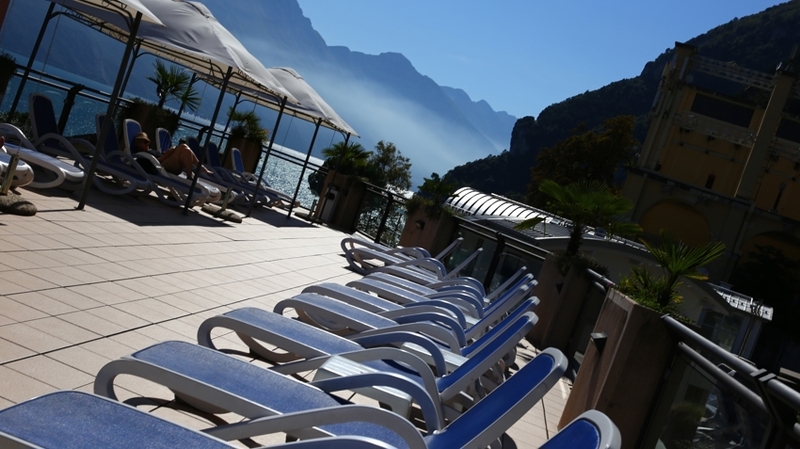 Hotel Europa at Lake Garda is located in the centre of Riva del Garda, only 5 minutes from the lake shore away. 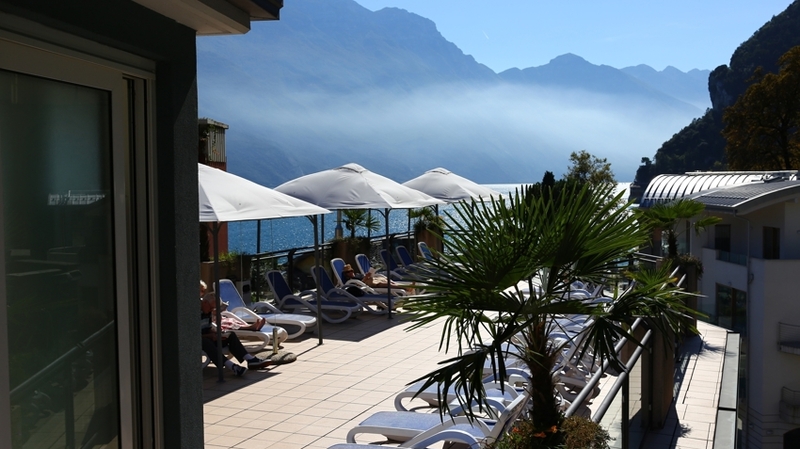 The hotel is the perfect place for relaxing holidays full of exciting leisure time activities at Laka Garda and surroundings. 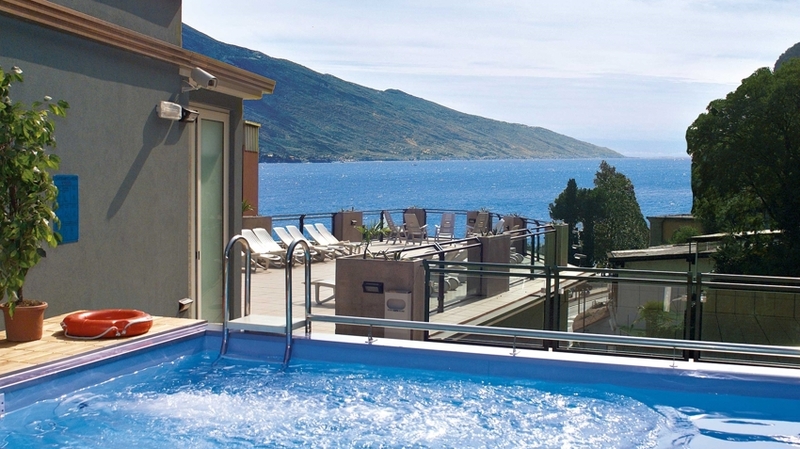 Our sky pool offers a wonderful panoramic view of the lake. 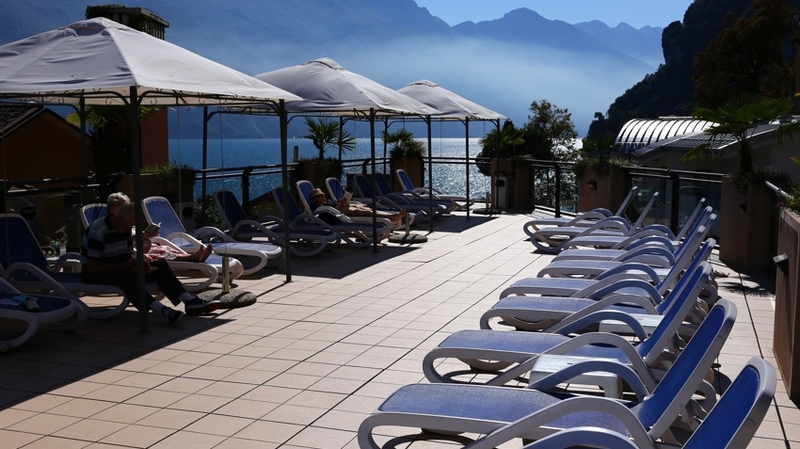 Relax on our panorama terrace with sun loungers and enjoy our steam bath and the solarium. 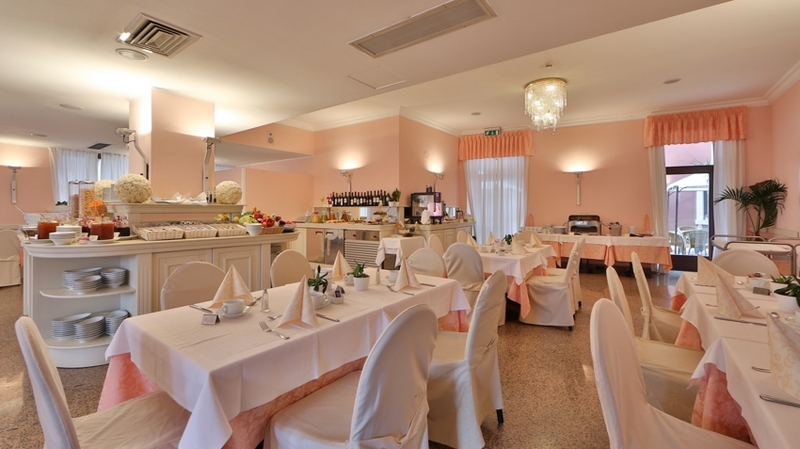 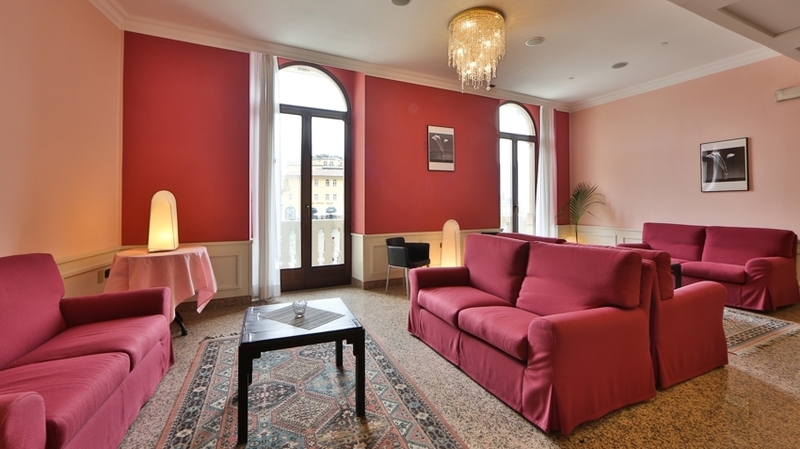 Hotel Europa offers comfortable rooms in different sizes, mostly with lake view. 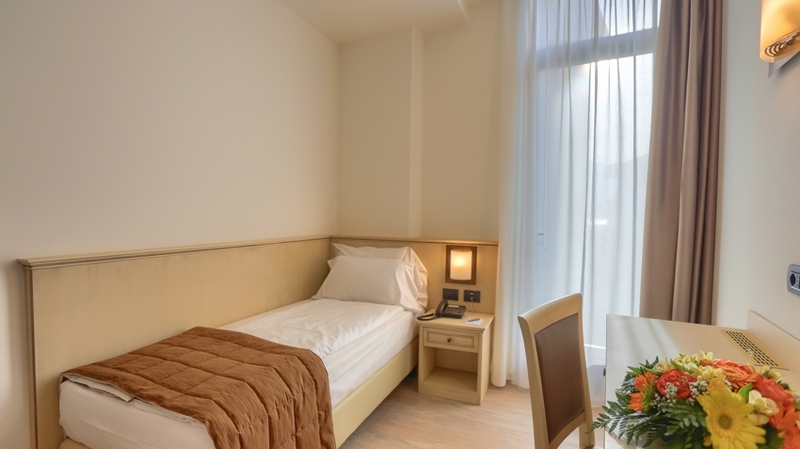 They are equipped with air conditioning, LCD satellite TV, radio, safe, a wooden floor and Wi-Fi. 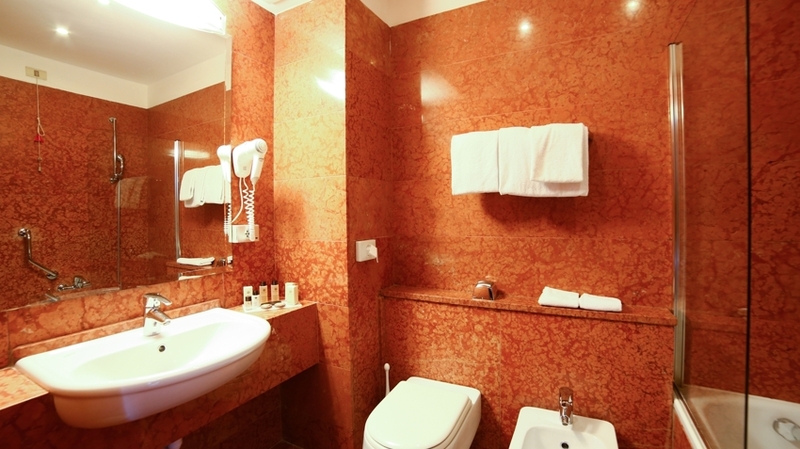 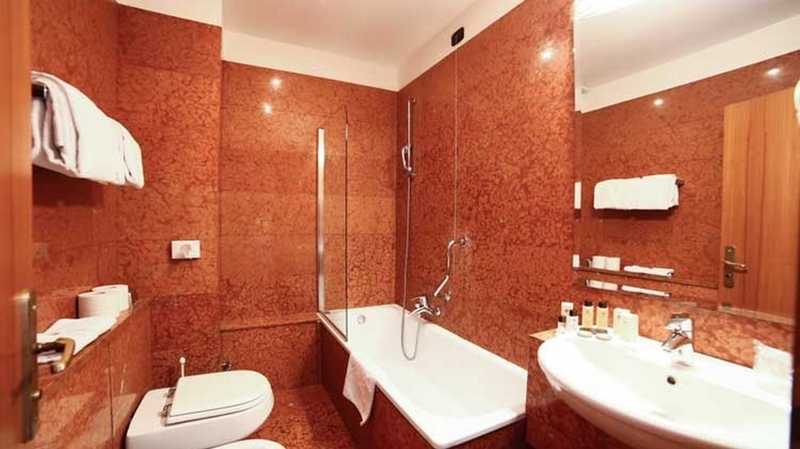 The bathrooms are furnished with marble, a bath tub or a shower and a hairdryer. 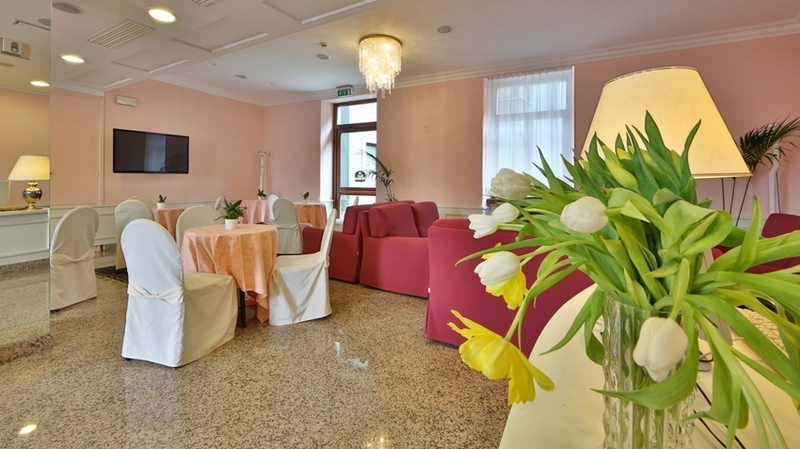 You can enjoy some relaxing moments during pleasant massages and beauty treatments in the wellness area of the nearby Hotel Portici. 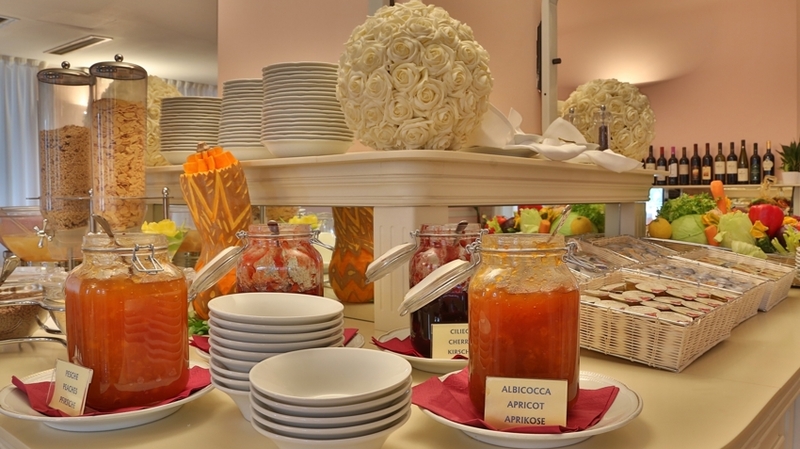 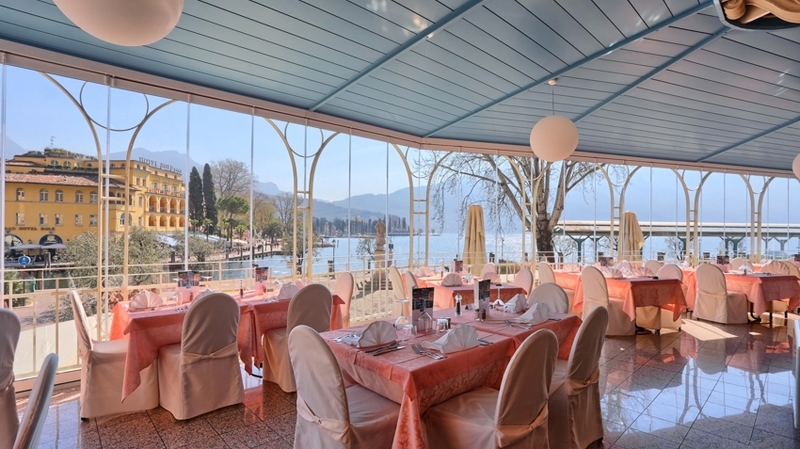 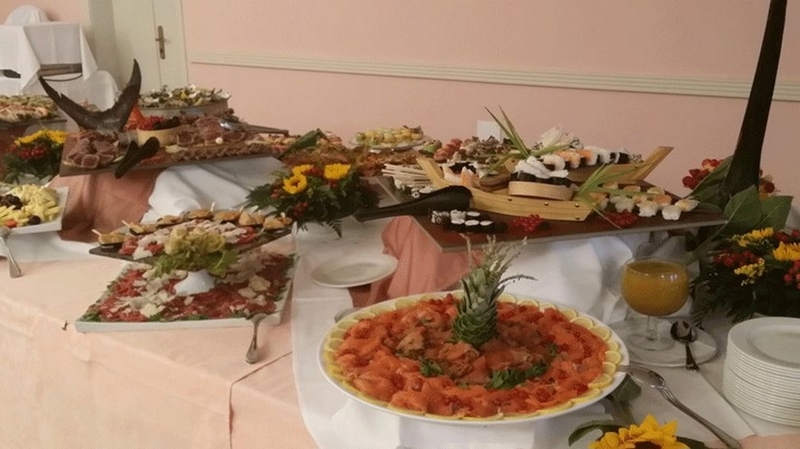 Our kitchen team will pamper you every day with delicious Italian dishes and local Specialties on our terrace with wonderful outlook on the centre of Riva and Lake Garda. 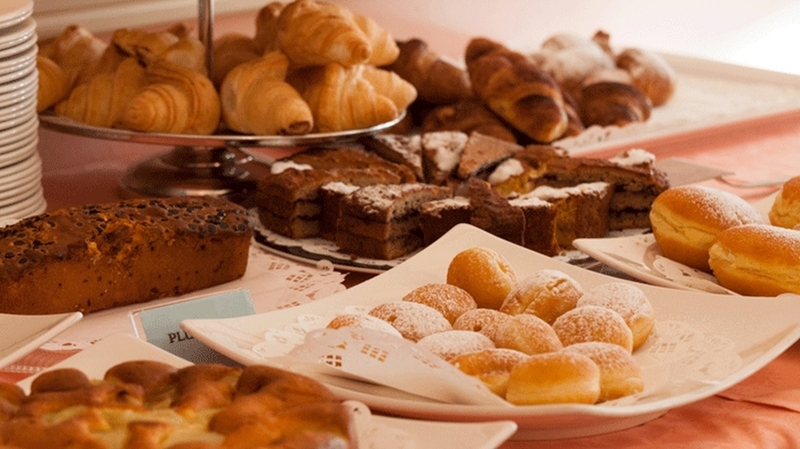 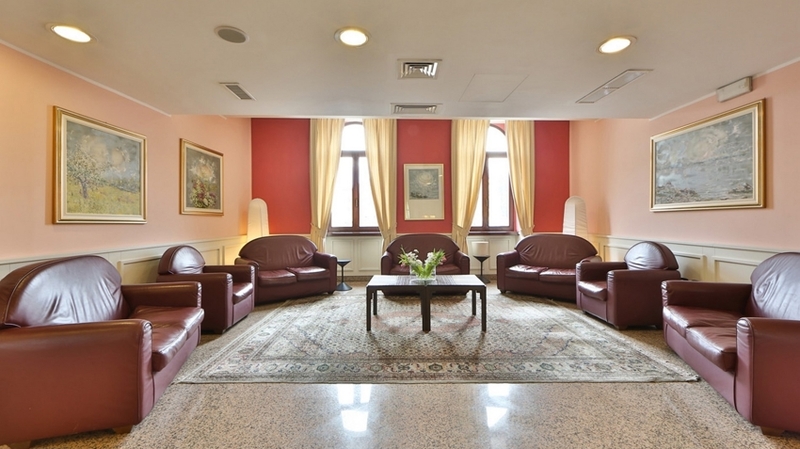 Besides of an own car park, a storeroom for bicycles and lifts, Hotel Europa offers also a room for meetings and events. 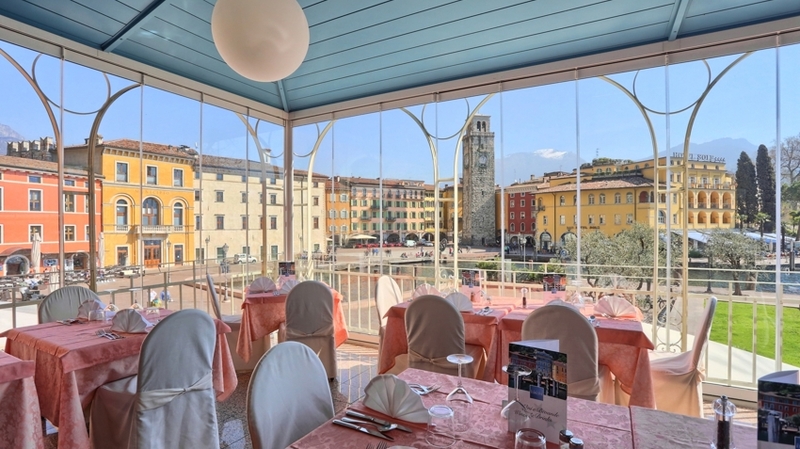 We recommend our guests following sights: the Apponale tower, a trip with the boat, the biotope on Mt. 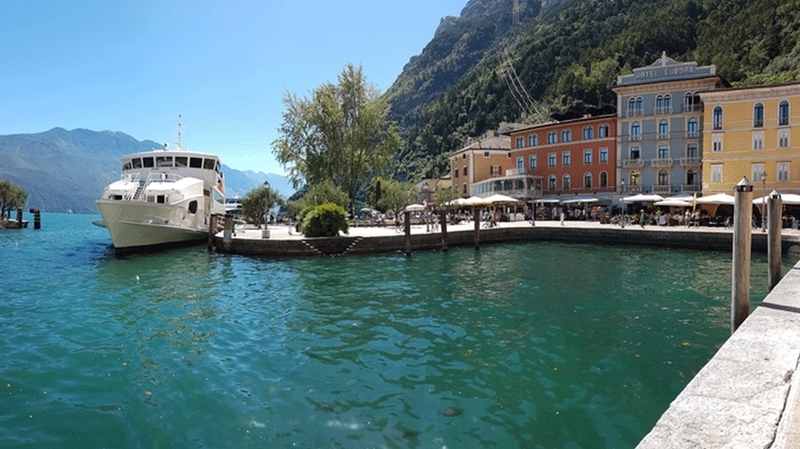 Brione and the Rocca of Riva. 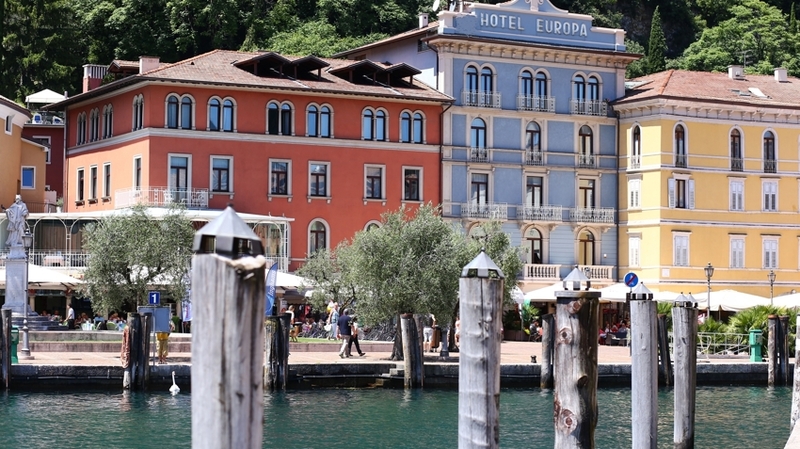 With the TRENTINO GUEST CARD you have numerous advantages, like free or reduced entrance to varied museums, reduced tickets for public transport and reduced prices in participating shops.